West Ham have announced the signing of former Arsenal and Manchester City winger Samir Nasri on an initial six-month deal. According to Mirror Football, the Frenchman been training with Manuel Pellegrini’s side since early November. This signing is certainly a statement of intent from the Hammers as we head into the second half of the season. Nasri is now eligible to play after serving a 18-month ban in relation to doping. West Ham’s new No.18 could make his first appearance against Brighton on Wednesday evening. 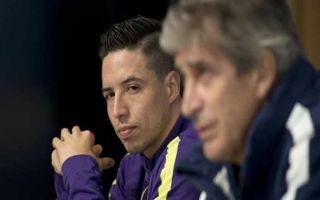 Pellegrini will be over the moon to have a player of Nasri’s calibre on his hands, the pair know each other from their time at Manchester City. Nasri won a Premier League title under Pellegrini’s tutelage and the Frenchman will be hoping for more Premier League success with the Hammers this season. West Ham currently lie in 11th place in the Premier League table and they will be hoping that Nasri’s signing will push them to the next level. A top eight finish isn’t out of the question given that the Hammers are only two points behind 7th-placed Wolves.